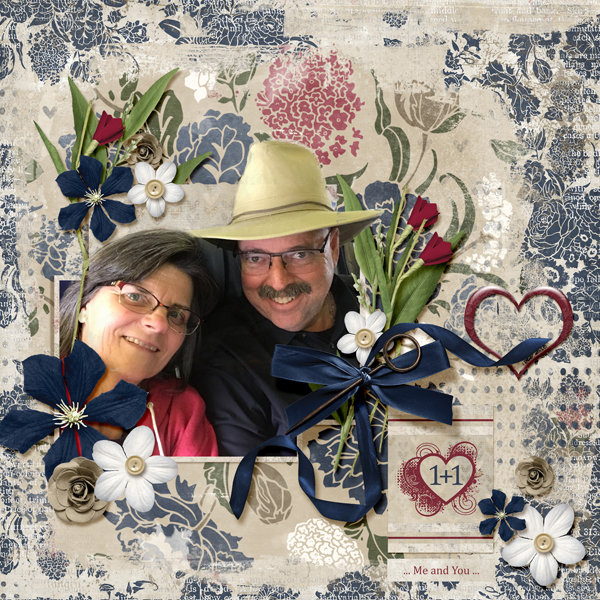 "Loving You" digital scrapbooking layout using Loving You Collection Mini. 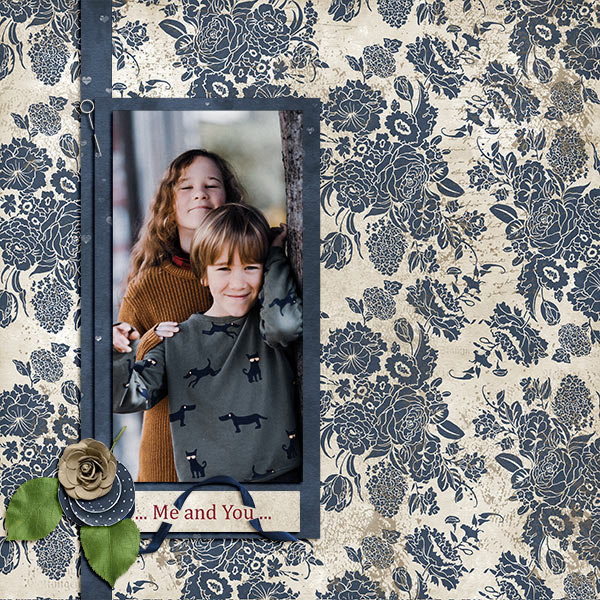 "Me And You" digital scrapbooking layout using Loving You Collection Mini. 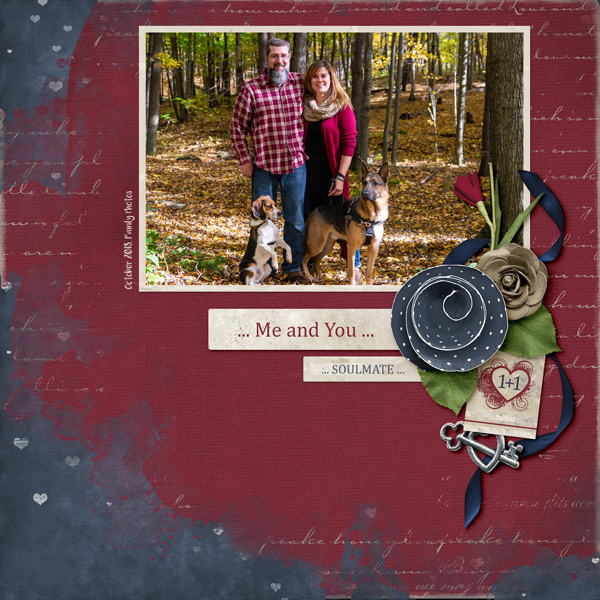 "Puppy Love" digital scrapbooking layout using Loving You Collection Mini. 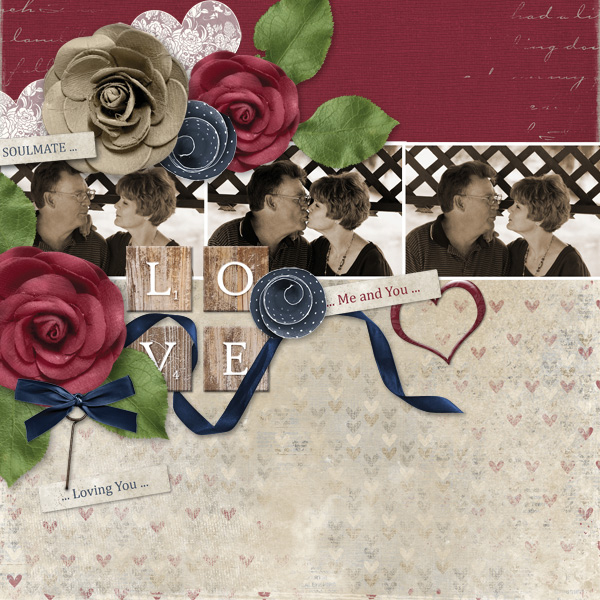 "Soulmate" digital scrapbooking layout using Loving You Collection Mini. 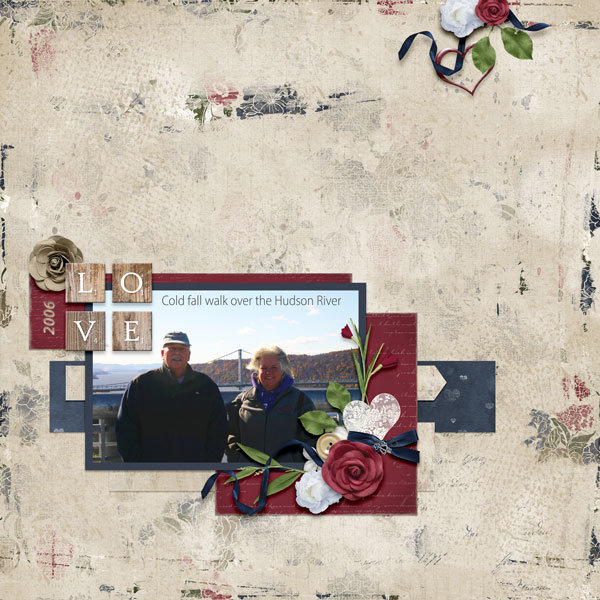 "Hudson River" digital scrapbooking layout featuring Loving You Collection Mini. 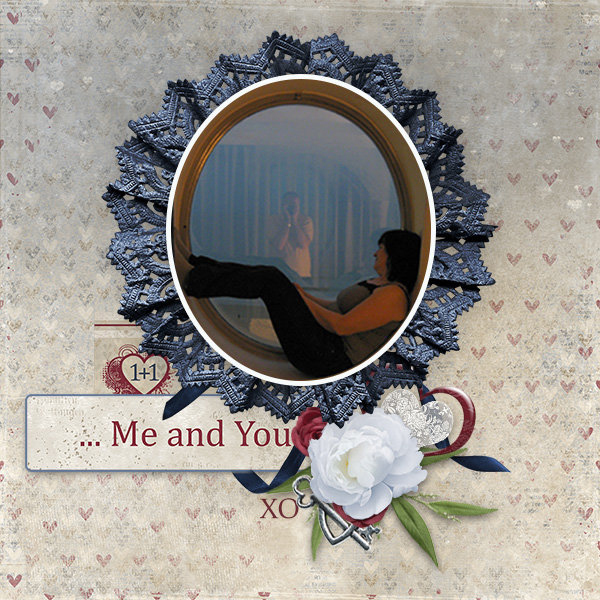 "Soulmates" digital scrapbooking layout using Loving You Collection Mini. 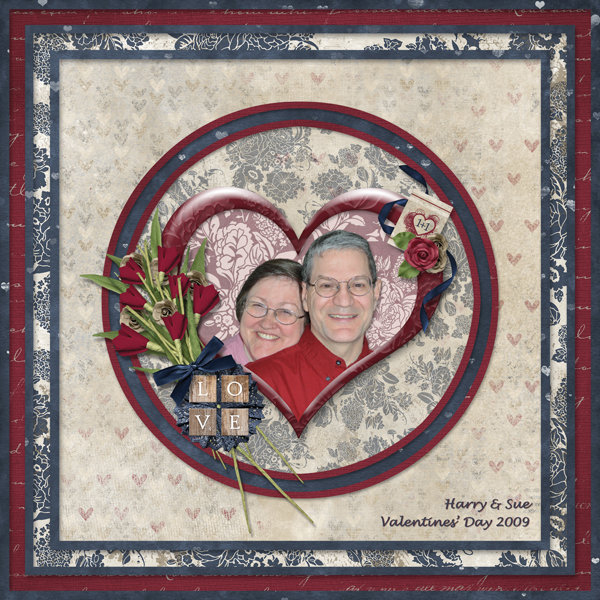 "Valentines 2009" digital scrapbooking layout using Loving You Collection Mini. "Our Wedding Day" digital scrapbooking layout using Loving You Collection Mini. Love and romance are not just for Valentine's Day. Celebrate your love all year round with the Loving You Collection Mini. It's rich colors and beautiful embellishments lends itself to any occasion. Floral themed digital scrapbooking collection to celebrate the beauty of spring. White camellias, blue irises in combination with floral and damask background papers. My Best Friend is a collection that celebrates friendship. Designed with soft pink, burgandy and khaki colors and accented with charcoal black, grey and white. The perfect background colors and embellishments for documenting those special friendships and relationships in your life. Celebrate the tiny moments in life with this sweet rose digital scrapbooking kit. Included in this kit are 3 softly hued digital papers, roses, carnations, a pretty peony and all the trimmings you need for your scrapbooking layout. This heritage styled scrapbooking kit is a timeless collection for recording your family history and memories. Perfect for family portraits, creating albums or charting your family genealogy. 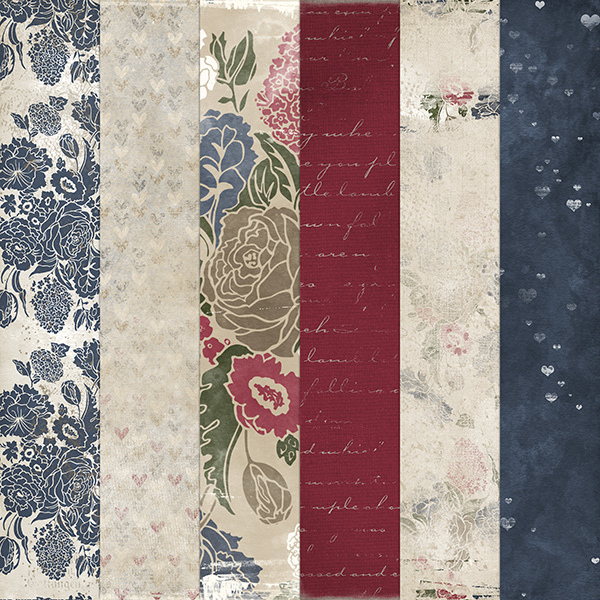 ScrapSimple Paper Templates: Just Blend It Vol. 4 - Page Dividers includes 6 easy to use templates. Brush Set: Spattered and Grungy includes 6 patterened brush set in png, and abr format. Breathe in the Splendor of fall with this fabulous collection. Packed full with fall leaves, flowers and beautifully colored embellisments and papers.